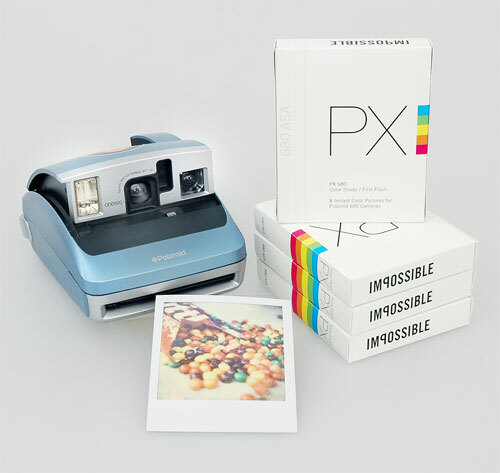 Polaroid announced that it would stop producing instant film in 2008, and if it wasn’t for 10 former Polaroid employees and The Impossible Project the story would have ended there. Amazingly the small team was able to save instant film from extinction by creating a new instant film! The best part is they’ve given me a beautiful camera and two packs of film to give away to you guys. So who wants it? Your house catches on fire and you only have time to grab one photo before running outside. Describe the photo that you’d make sure to save, in the comments below! I’ll choose a winner next Friday! Have a great weekend everyone! Thank you to everyone over at The Impossible Project.